Some people can’t live without rice, but I can’t go without noodles for a week. 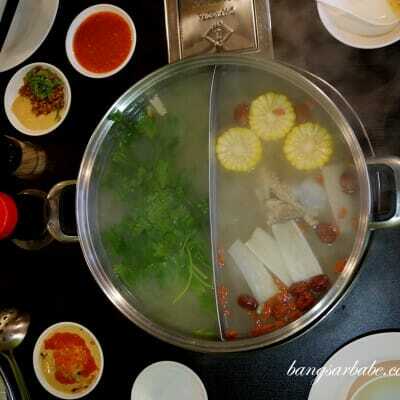 Top of my noodle type list is kuay teow, followed closely by pan mee, also known as handmade noodles. Pan Mee comes in a few forms – thin noodle strands, flat noodle strands and pinched. The pinched version tastes best with soup, I feel. rif took me for pan mee at a roadside shack in Cheras, based on a recommendation from his colleague. This shack is located outside the low cost flat in Taman Miharaj. 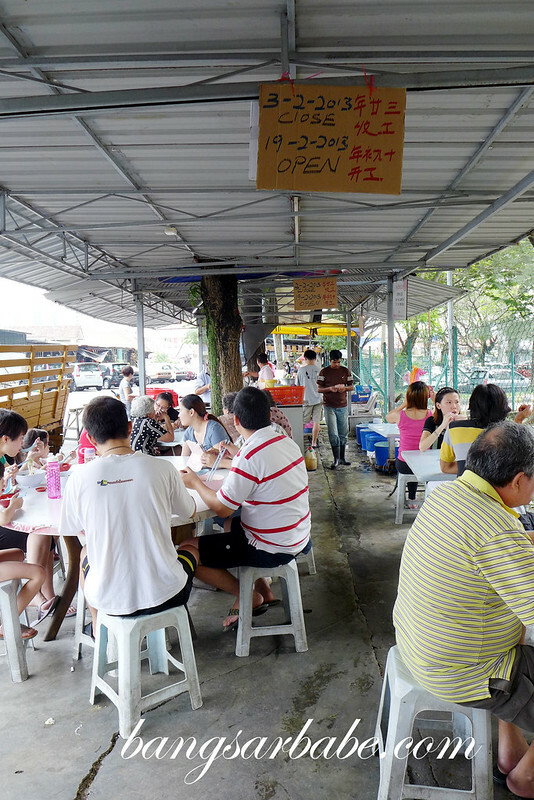 Even before noon, the place was crowded with people tucking into their hot bowl of pan mee soup. I quickly placed an order for two bowls of pinched pan mee and waited patiently. After 20 minutes, we were served. If you’re planning to eat here, I suggest you dress casually and bring some tissue paper as you will end up sweating. But all is worth it, as the pan mee is good stuff. The pinched noodles were consistent in texture – smooth on the outside with a springy centre. I found the broth very tasty, and not in an MSG way. It had a nice porky flavour that complemented the noodles. The accompanying meatballs were large with a nice ‘snappy’ texture. 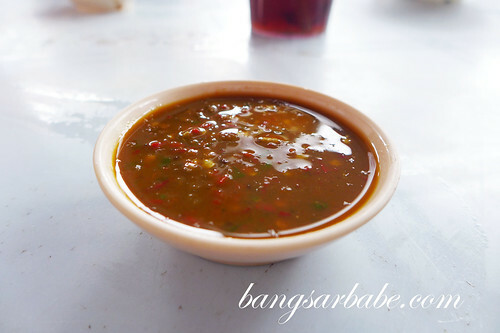 Chill sauce can often ‘break’ a good bowl of pan mee, but this one made it better. Do go easy on this, and this is a killer. 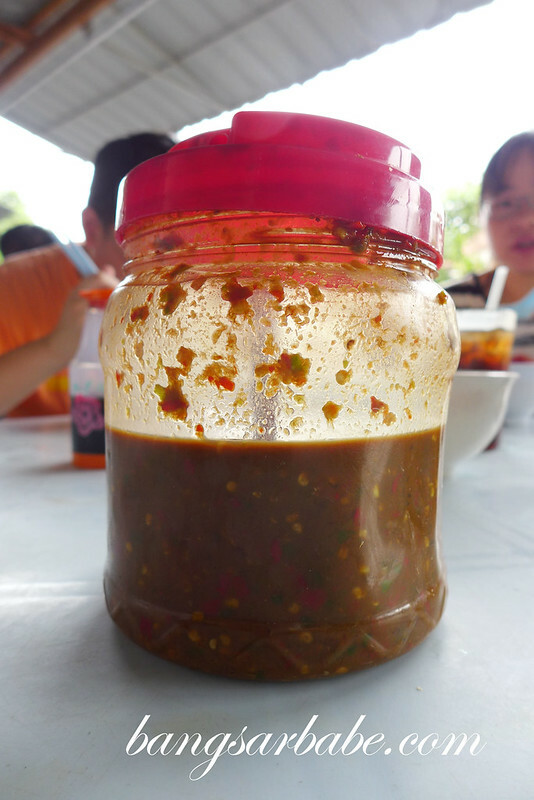 Aromatic, spicy and justly tangy, I was sweating halfway through my noodles. In a good way. The bill came up to RM10 for two bowls of pan mee and a glass of drink. Very reasonable considering the generous portions and good stock. Yes, I’m definitely coming back! Good eats for less than RM10. 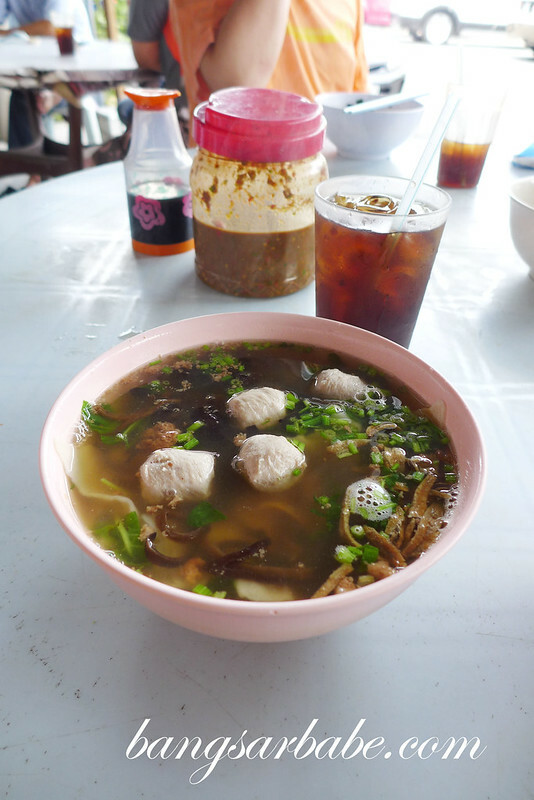 Verdict: If you can get past the heat, this pan mee is a must try. Agree! Baru shiok kan? Hahaha!! Hi, do you know if they open on weekends? Thanks. May I know if it is open during weekends? tq.. Opens from Monday to Saturday from morning till 2pm. Or until they sell out.